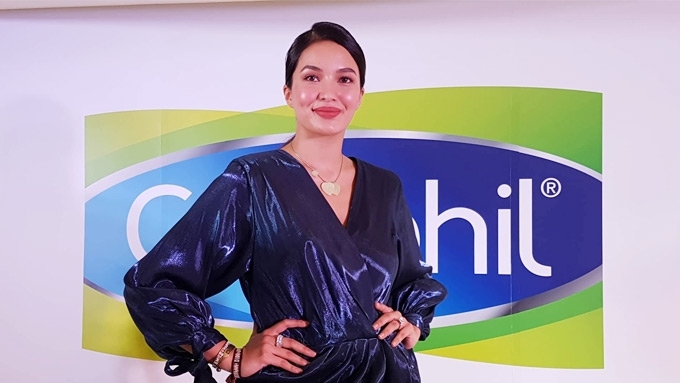 Motherhood has taught Sarah Lahbati to be good at mastering routines. Given that she's carrying out many real-life roles, the 24-year-old star has to find ways to accomplish her tasks faster. 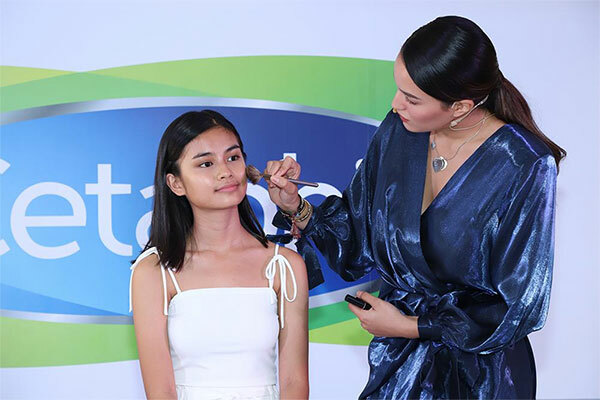 At the Cetaphil event held in SM Makati on August 23, she began, "I have two kids. I'm a working mom, always busy, always on the go. I have a partner. I have to be there for everyone..."
Then in an exclusive interview with PEP.ph (Philippine Entertainment Portal), the Kapamilya actress continued, "It can't be that one would suffer just because I'm a mom. "Or I would tell my two boys, I can't do this and that because I'm tired from rehearsal or taping. "The key is really time management." The young mom also avoids complicating things. "My skin-care routine, for example, I cannot really afford too many steps. So what I did was to find products that can do the job, that will work for me in much less time. This Korean skin trend is "all about glow," she said. "For you to achieve that, you have to take care of your skin properly. "I always say this: Skin care first, makeup second. Because if you have good skin, then you don't have to put so much makeup. It helps you save time and money." Sarah swore by these three steps—"cleansing, moisturizing, and protecting." 1. Cleanse your face well. Some beauty bloggers recommend "double cleansing," which requires the use of an oil-based cleanser before washing with a more traditional cleanser. Some add exfoliation to their routine. But Sarah said, "Find a good cleanser, meaning, your face glows with it, and you don't get additional problems. Then stick to it." 2. Choose a lightweight moisturizer as base. Hydration is important to make your skin look younger and smoother. Apply it evenly using your beauty (middle and ring) fingers. 3. Do not forget sun block. Sarah remarked, "I think here in the Philippines, not everyone is aware of how important this little bottle is. Without it, you damage your skin everyday going outside, doing the things you do at work, you go out..."
Lastly, her quick trick to highlight the "glow": Find a good source of light, then use brush and powder. She resumed, "Follow the portions that are glowing, usually, the cheekbones and near the bridge of your nose." Having an effective skin-care routine is like an "investment." She said, "You avoid skin problems, you prevent them. And you can assure your self, 'I'm still going to be beautiful when I turn 40.'" PEP.ph asked: Was she never meticulous about her beauty regimen? "When I was younger? No. When I entered showbiz, some days, I'm mabusisi, like kung may pimple ako, I have to put something on the pimple. "But most the time, it's so simple." These days, her motivation to do her routine religiously goes beyond looking good. "When I became a mom, I learned more about self-love and self care. "I became more aware that, you know, you have to eat healthy, you have to put in the work at the gym, you have to be stronger, you have to care for your skin in order for you to be happier, to be comfortable in your own skin. "For that to happen, you need to do these things, like taking care of your skin, having your own skin care routine no matter how simple, but it's really worth all the effort."